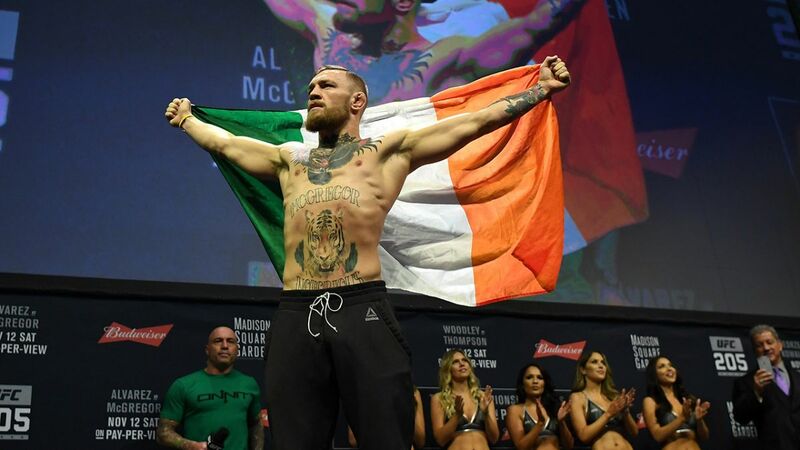 A celebration of the best mixed martial arts on the planet will mark the UFC's first event in New York as Madison Square Garden hosts a spectacular event headlined by a super fight between Eddie Alvarez and Conor McGregor. That history-making bid from The Notorious is part of a lineup featuring three title-fights and a plethora of talent brimming over to the preliminary bouts. But with that come some incredibly close matchups, so here I predict all the fights ahead of tonight's UFC 205. Super fights don't come bigger than this. 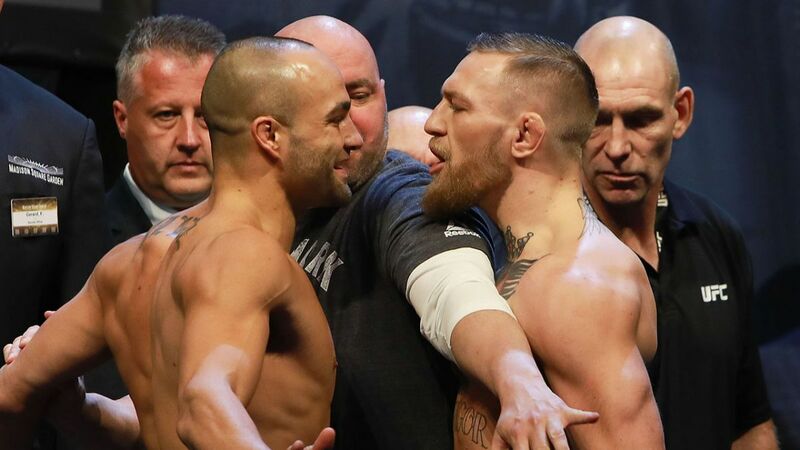 You have the biggest star in the sport, a cult hero in Conor McGregor, moving up from the division where he was champion to battle another titleholder in the well-journeyed Eddie Alvarez, with a win creating history as the first two-weight world champion. Adding to that recipe? It's in the most prestigious arena on the planet, in Madison Square Garden, as the Octagon comes to New York for the first time ever. It may be more than the usual wrestler vs. striker rhetoric, but it can embody similar. However, with the trash talk beforehand, this may just be a brawl, and that favours the Irishman whose counter-punching should guide him to the historic feat. My guess is that Alvarez either telegraphs a takedown and gets cracked with a left hand, or is countered with the deadly shot and finished off. Stephen Thompson seems to have both hands on that belt if you're asking most fans. 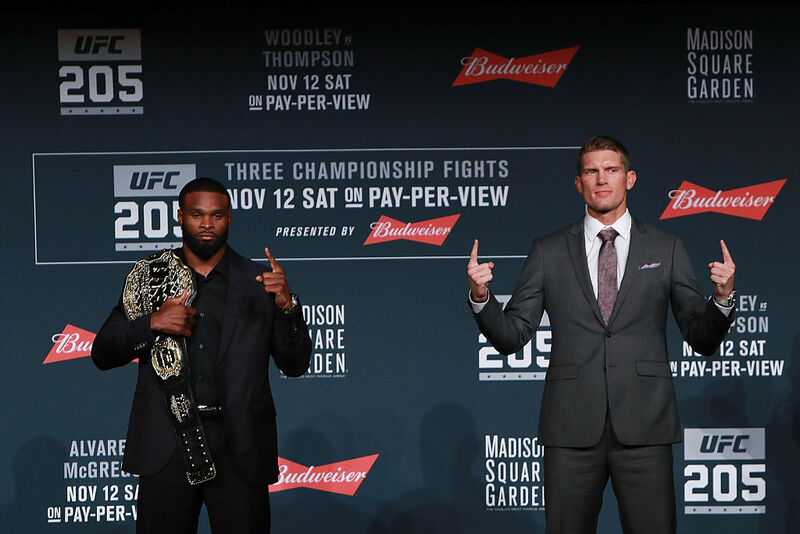 However, I'm expecting it to be much closer than thought - Wonderboy's style is terrific but Woodley's ability to close the distance could just trouble him and open up some of his weak points. 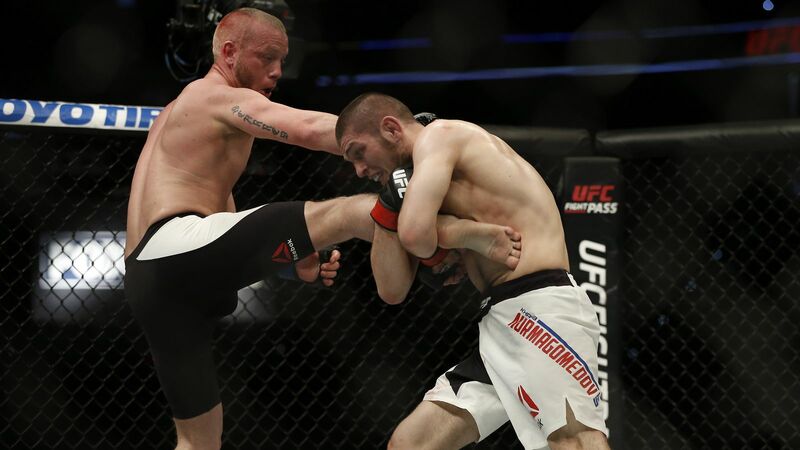 I believe Woodley may end up banking on the big right hand, and despite its obvious merits - having shut the lights out for Robbie Lawler in the summer - it will take more to crack the puzzle that is Stephen Thompson. 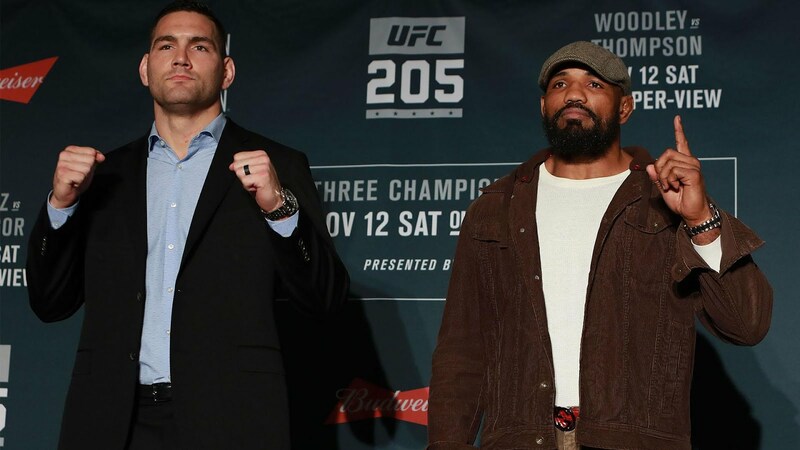 With Woodley frantically rushing forward to close the distance, his compatriot should be able to pick him off en route to an explosive knockout in the championship rounds. They may be sporting the same banner under the lights of Madison Square Garden, but Joanna Jędrzejczyk and Karolina Kowalkiewicz cannot stand one another. Their cursing in the Polish language have perhaps saved UFC in a lot of scorn, but when these two collide we could be in for a show-stealing five-round war. It will be contested on the striking front, with both exemplifying in those areas, however it seems that Joanna's background in Muay Thai along with wealth of experience should allow her to cut apart Kowalkiewicz for the unanimous decision win, keeping the second longest current UFC title reign intact. 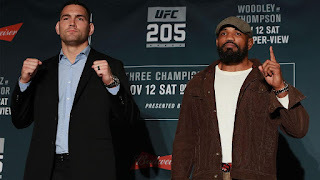 We've not seen either of these middleweight wrecking machines this year, with Chris Weidman taking a lengthy lay-off after dropping his belt to Luke Rockhold and Yoel Romero on the sidelines for a failed drugs test - now deemed a tainted supplement - following his defeat of Jacare Souza. There's no doubt who will have the home crowd behind them as The All American fights in the arena he had yearned for over the lengthy legal battle, in front of a home New York state crowd. That added to his heart gives a lot for Romero to deal with, but the Cuban is exceptional and is yet to lose in the UFC, continuing to excel despite ageing. Both are too durable to be dispatched inside 3 rounds, but with the shortened time it should make for a competitive fight. 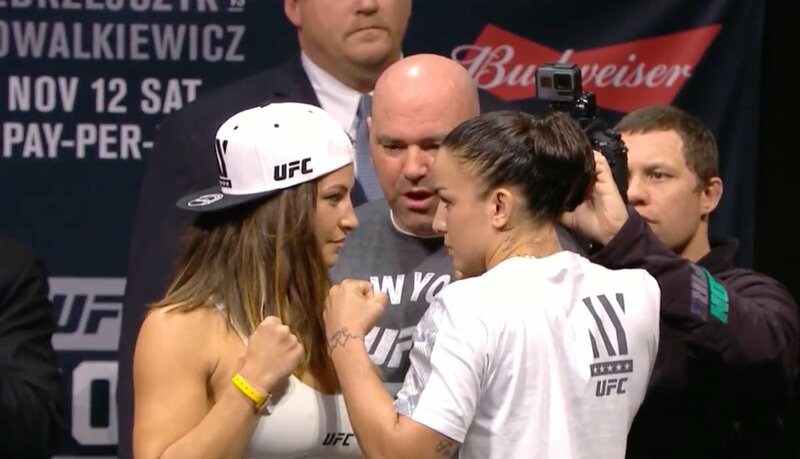 Three years ago, Miesha Tate was coaching Raquel Pennington in a groundbreaking series of The Ultimate Fighter. Now, "Rocky" has the biggest opportunity of her career when she opens the pay-per-view against the headliner of UFC's showpiece event. Miesha Tate will look to bounce back from a crushing first-round loss against Amanda Nunes, which main-evented UFC 200, but will have to scrap to a victory through murky waters. Pennington's striking should have the advantage, but few have been able to resist the pressure Tate applies and it could hand her a submission win to open the card. Be sure to cast your predictions in the comments below and keep up to tabs with the event with our live blog and coverage.